The Badgers face the Iowa Hawkeye under the lights at Kinnick Stadium in Iowa City. This is the first road test for the Badgers in the 2018 season. The Badgers look for redemption after losing their first home game to a non conference foe in 41 games. Iowa has begun the 2018 season 3-0 with wins over Northern Illinois, Iowa State and Northern Iowa. 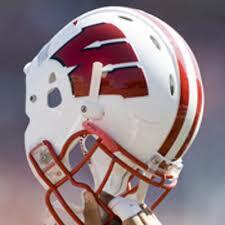 The Hawkeyes lost to Wisconsin last year 38-14 in Madison in the annual battle for the Heartland Trophy. The Heartland Trophy is a brass bull that is presented to the winner of the annual game. Although the rivalry is over 100 years old, the trophy is relatively new. The trophy was first presented in 2004. 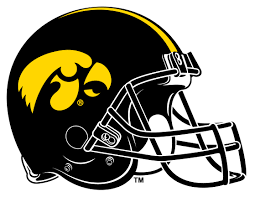 The Hawkeyes finished the 2017 season 8-5 overall which included a win over Boston College in the New Era Pinstripe Bowl. The first meeting between these two Big Ten rivals was in 1894, they have met 91 times and Wisconsin leads the series 46-43-2. One of my most memorable games in the series was in 1969 when Wisconsin beat Iowa in the 4th game of the season to end a 23 game winless streak. The Badger faithful, myself included, reacted as if they had won the national championship. Iowa is lead by Coach Kirk Ferentz who is in his 20th season as the Iowa head man. He is the longest current tenured head coach in NCAA Division I FBS. Iowa’s mascot is Herkey the Hawk. The fight song is “On Iowa”.